Over the weekend all of the Cherry Blossom trees in my neighborhood bloomed and it’s been the most magnificent sight! There is a tree literally right in front of our apartment which was in full bloom ’til yesterday when a crazy rainstorm swept all of the flowers away. Tears. 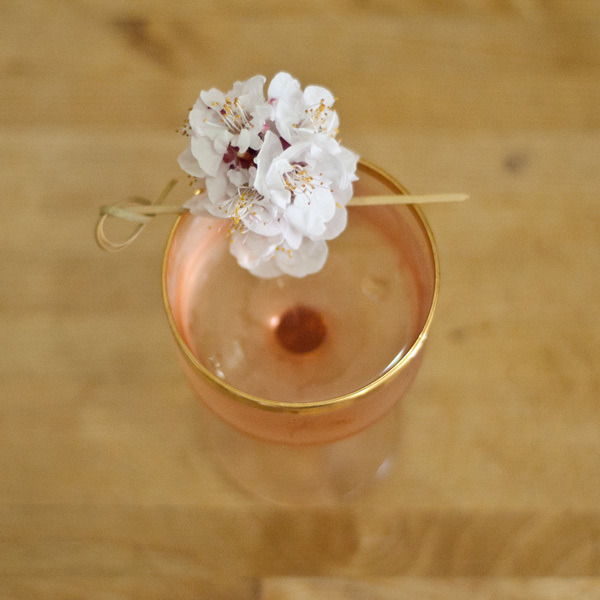 Fortunately, my girlfriend and I had already acquired some of these beautiful lil flowers for the following drink. 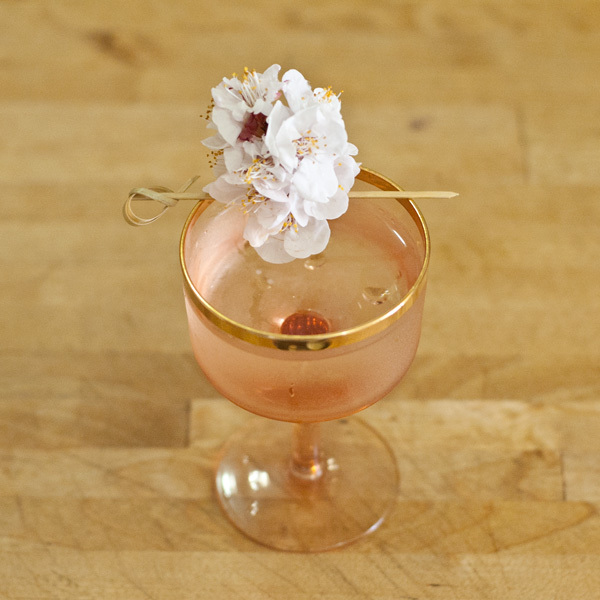 The inspiration for the drink was obviously the Cherry Blossoms, then I thought, Martini. Saké was my next choice and Dolin Blanc pulled all together. Combine Gin, Sake and Dolin Blanc over ice and stir until proper chilling and dilution have been achieved. Strain into coupe, express Grapefruit peel and discard. 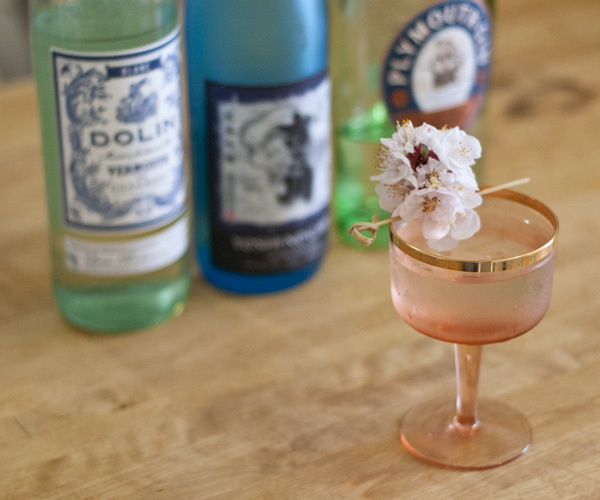 Garnish with Cherry Blossoms. Happy Sakura Festivals to all of you in Cherry Blossom Land and Happy Earth Day to us all!